No More Frustration! Confusion disappears! This online course contains the most valuable IELTS Task 2 knowledge to instantly write clear coherent essays. It even includes essay corrections TO GUARANTEE YOU IMPROVE. I have been teaching this method now for about three years and slowly perfecting it. Finally I have perfected it for fast band-jumping improvement. My mind goes blank! I cannot organise my thoughts! You may have good English skills, but that still is not enough because on exam day you must think of ideas –usually on some topic you have no interest in. And then you have to think of an opinion, present it, structure it, write it, etc. etc. all in 40 minutes! Most exam guides give vague advice like ‘structure your essay’ or ‘use academic vocabulary’ but FAIL to give you SPECIFIC SENTENCE-BY-SENTENCE INSTRUCTIONS. With my Sentence Guide the essay almost writes itself. Any student that needs a Band 7 or higher can work with me, get help and feedback to use this 3-step system, today. How to ‘start up’ your writing brain when you have ABSOLUTELY NO IDEA what to write. – NO MORE STARING AT BLANK PAGES thinking what to write.! – Guaranteed! How to increase the score of every single essay you write. How to write in an academic native speaker style. What is the most important component of an essay. 4 Rock solid plans you can use for the most important part of the essay. How to write a Band 7 essay even if you have never written an essay before. The single biggest mistake most students make when writing the task 2 essay…and how to avoid it. How to practically guarantee your essays get full points for Task Response and Cohesion / Coherence. A secret technique to improve your score by at least 10% on exam day. Why you must use these types of examples in every essay you write. It has plans that most students have never used before. But it doesn’t just list them, it tells you how to use them! It tells you where to use them (introduction, paragraph 1)….you then get your essay corrected. Our essay correctors are EX-IELTS Examiners. Over 20 years of experience in teaching. 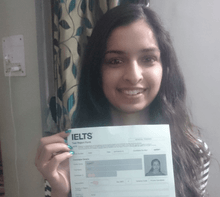 Previously trained by IELTS IDP / British Council. 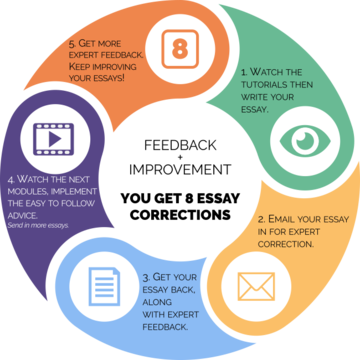 They work on standard essay corrections and also give feedback on the online course. How does the Sentence Guide work? All these students have taken the Sentence Guide Course, passed IELTS, and then did an interview with Ben. I am happy to let you know that I have scored 7 on writing with 8 overall. I want to say huge THANK YOU. Your “sentence guide with essay evaluation” course coupled with your priceless latest videos on youtube (with academic vocabulary for writing) has made it possible for me. My family and I are now one step closer to moving to Canada – thanks to you. hello there!Ben, Just to give you context of my situation I took writing lessons from you guys in Feb for my IELTS exam on 20 Feb. It was my second attempt and in my previous attempt I scored 6.5 in writing and in my second attempt I scored 6 :(. I applied for re-evaluation and I got my result today. Gwendolyn, I know its hard but please don’t start finding mistakes in this email (especially the punctuation). 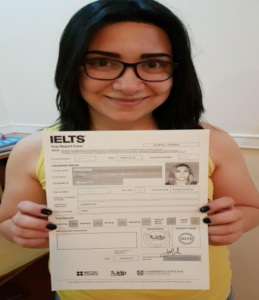 I am in ecstatic mood today :P….You will play an important role in making my Canada dream come true 🙂 🙂 :)…Your writing lessons have not only help in IELTS but in real life too. I can see massive improvement when I write office emails. I finally scored a 7 on each part, just what I needed! I want to thank you for your help in the writing skill. Without it, I had probably failed on getting a 7 because my main problem was to “over-think” the structure of the essay, trying to say too much in too little space, and also overcomplicating my sentences: a complete mess! To tell you the truth, I had read many different strategies about how to deal with the part 2 of the writing test before purchasing your course and, I didn’t have a clear way of how to do it. So, after listening to your podcast I decided to give a try to your course and I have to say I was impressed, it is easy to understand and follow, basic but powerful. Best regards and keep helping students! You have email support at every step. You learn the number one rule that absolutely must be observed for every IELTS student to write a truly band jumping essay. Discover the silly mistakes 90% of all IELTS students make while writing an essay and how to quickly learn the ‘inside’ secrets of the high scoring 10%. The ‘8 minute secret’ that can turn your essay around immediately (it’s so simple you will kick yourself for not thinking of it). Why studying alone will do very little to improve your grade. -Refund window is a generous 90 days from the purchase date. -Proof of a Band 6.5 in writing must be provided before starting. This is a no risk offer if you do not like the course, return it (before starting) and your money will be immediately refunded. Simply go ahead and order my new course (you do not need a PayPal account to pay by credit card). After you pay you get an email with your username and password and you can start immediately. Internet Security and buying online. On IELTSpodcast.Teachable.com there is SSL (Secure Sockets Layer), which means your credit card information is 100% encrypted and secure. In fact the secure certificates mean full 128/256 bit encryption. The green https on IELTSpodcast.Teachable.com is a sign you are using a secure connection. IELTS Students love this service! 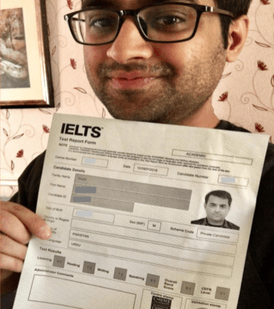 Six Pages Of IELTS Success Stories! Each month we interview students who have taken the course, got Band 7 or higher and are now on the way to Australia, Canada, UK etc.